As elusive as sleep may be sometimes, it’s a vital part of your child’s learning and growth. Your child needs sleep to perform at his best. And, let’s be honest, it’s not all about performance. We all want academic success for our kids, but emotional stability and a positive social life are important too. These all rely on your children getting adequate sleep. Poor sleep quality or lack of sleep alters the way the brain works. Certain regions of the brain are more highly affected by sleep loss than others. The prefrontal cortex, the portion of the brain that controls executive functions like attention and focus, experiences a decrease in activity when your child doesn’t get enough sleep. Of course, children are still learning how to apply reasoning to their thinking anyway, but when you take adequate sleep out of the equation, it gets infinitely harder. The good news is if you’re here reading this post, you’re not ignoring the importance of sleep. Learning and growth take place in more than the classroom. Like academic performance, emotional and social growth and development can be hindered by a chronic lack of sleep. While activity in the prefrontal cortex goes down with sleep loss, the part of the brain that processes emotions, called the amygdala, gets more active. It becomes particularly sensitive to anything negative. For kids, that may mean anything from a change in plans to sharing a favorite toy could lead to an emotional outburst. Studies have found that impulsive behavior and overly emotional responses decrease when kids get the sleep they need. The success of family and peer relationships relies, in part, on sleep. And, there are things you can do to help your child get the rest he needs. ● Checking the Mattress: A lumpy, sagging mattress could be causing nighttime wakefulness. Even tags could be at the heart of some nighttime wakings. 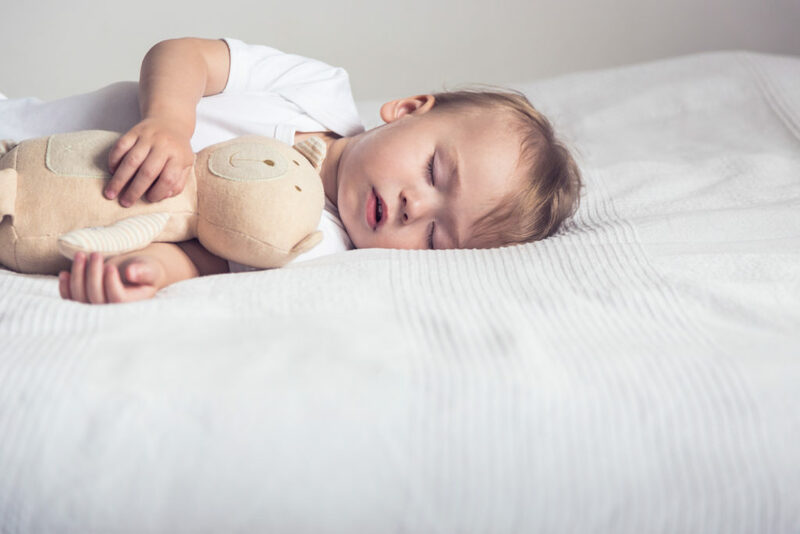 If you’re in the market for a new mattress, medium-firm mattresses are the most comfortable and supportive no matter your child’s weight or sleep style. ● Controlling Light: Exposure to natural light helps correctly time the sleep-wake cycle. Blackout curtains, heavy drapes, and blinds can keep light out so your child’s brain doesn’t get confused. If your child is afraid of the dark, try a motion-activated night light plugged in low to the ground. ● Remove Electronics: Electronic devices like TVs and smartphones emit light that’s similar to sunlight, which can suppress sleep hormones. Not only that, even the temptation of playing with or watching devices has been shown to reduce childhood sleep quality. Keep them out of the bedroom to reduce distractions so the brain and drift off to sleep. With a focus on better sleep, you’ll be helping your child succeed in all aspects of his life. Though it may take time to improve sleep efficiency, with consistent effort, you’ll both be resting better.